On December 31, 2017, an American father in his 40’s and his son and daughter, ages 15 and 14, were at Havana’s Jose Marti International Airport. Around 2:00 p.m. they were waiting to board their return Delta flight to Atlanta. The teens asked their father what was making the annoying high-pitched noise. The father, however, heard nothing and asked them if they could tell the direction of this noise. They could and tracked the sound to a green box on a wall near the ceiling of the departure area. The teens also said the device gradually changed the pitch to where it was inaudible and then it gradually came back to the pitch where they could hear it. 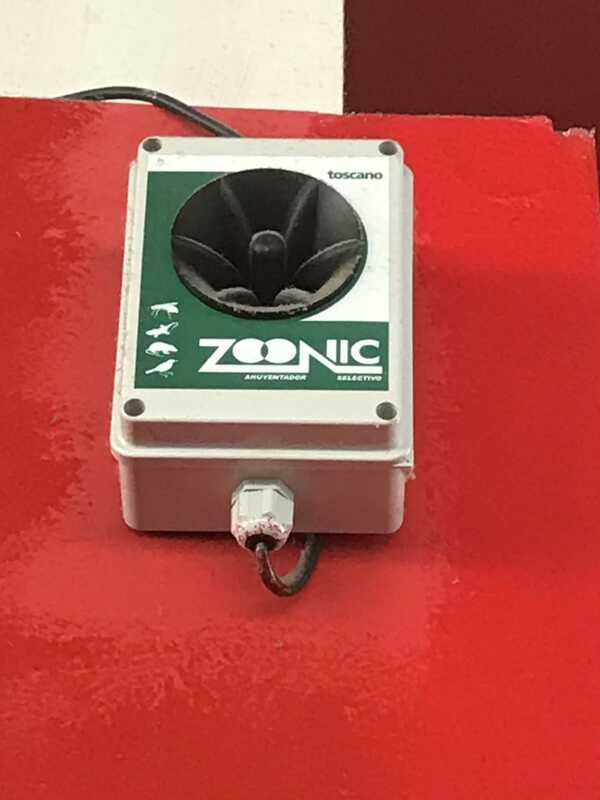 Here are the father’s photographs of that device in the upper right of the airport wall and of a closeup of the device showing a label with the words “toscano” and “Zoonic” and images of an insect, reptile, rodent and bird. The device’s manufacturer apparently is Toscano , which describes itself as an “electronics development & manufacturing” firm in Sevilla, Spain. By all indications, this device is not manufactured with the intent to cause harm to humans. Some, but not all, of its sounds are audible and annoying to some people, but not others. The audibility of the device is not constant given that it gradually changes pitch to go beyond the hearing range and then it gradually comes back to the range. How many of the devices have been sold to persons in Cuba? What persons in Cuba bought the devices? 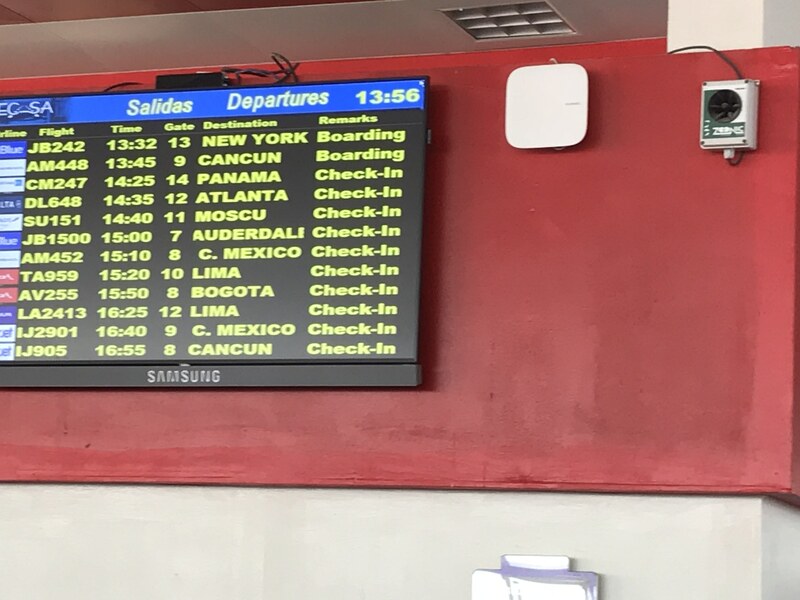 Where have they been installed in Cuba? Have any of these devices been installed in or near the U.S. or Canadian embassies or their diplomats’ residences or Hotel Nacional or Hotel Capri? How difficult would it be for a single device to be obtained by an individual or entity in order to harass American/Canadian diplomats? Are the devices in need of calibration and recalibration? If they are not susceptible to malfunction, then why are they audible to only some people and not others? Did the U.S., Canadian or Cuban government notice these devices in their investigations? If so, what did they conclude? 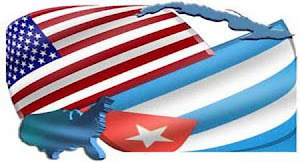 The medical problems of the U.S. diplomats in Havana have been discussed in many previous posts that are listed in the “U.S. Diplomats Medical Problems in Cuba, 2016–” section of List of Posts to dwkcommentaries—Topical: CUBA.